Children of the Empire is the first premium expansion we’ve seen for the game. It contains 234 cards, giving you all the copies you need of the 82 cards it adds to the pool. 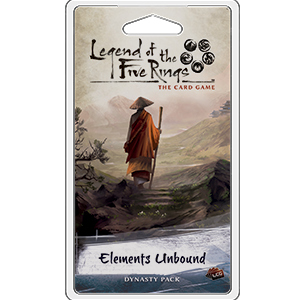 We finally have the last pack in the elemental cycle Pack 6 – Elements Unbound. 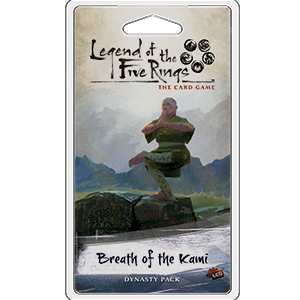 Where the previous packs focused on one of the 5 elements, this pack appears to focus on the problems Rokugan has recently had with the elemental kami rebelling and causing trouble. 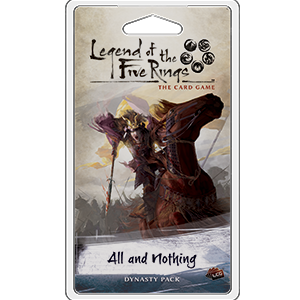 This week we’re looking at Pack 5 – All and Nothing. This pack focuses on the element of Void. Void is emptiness, no good no evil, but also clarity without preconceptions. It is the Swordsmaster who strikes with no-mind, the Archer who releases at the right moment, the Shugenja who feels the future. 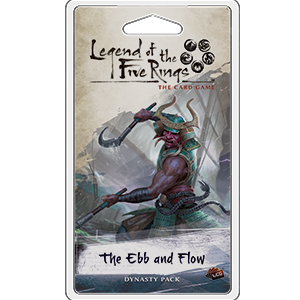 This week we’re looking at Pack 4 – The Ebb and Flow. 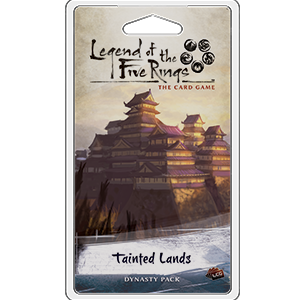 This pack focuses on the element of Water and introduces the highly anticipated Daimyō of the Mantis clan Yoritomo. 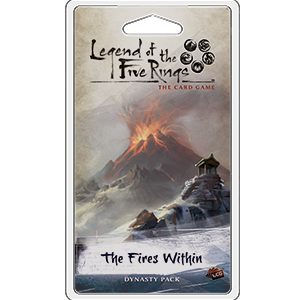 We’re back with another Elemental Cycle Pack, this time The Fires Within, focusing on the destructive element of Fire. Pack two in the Elemental Cycle is focused on the element of Earth, but, as the name suggests, also features some ‘darker’ cards. We get to see Shadowlands and Mahō cards in this pack, both of which are very playable. The first pack of the elemental cycle is focused on the element of Air. We got the team together to go through the cards in the pack. Check out our review of the Phoenix pack below. You can also check out our YouTube channel, where we talk our way through the pack (link at the end).